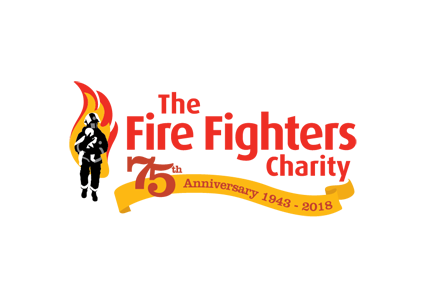 Born out of the devastation of the Blitz to support the bereaved families of firefighters and evolving over the years to become the foremost health and wellbeing provider for members of the fire services community across the UK, we are celebrating our 75th anniversary throughout 2018. You can find out more about our history in this short video. In this, our 75th year, we celebrate the hard work, dedication and support of everyone who has ever contributed to the funding or running of our organisation, as well as the hundreds of thousands of people we have helped through our diversifying services over three quarters of a century. It’s a time for reflection, but it’s also a time to be ambitious as we look ahead to the next 75 years. We will become the UK’s leading mental health support provider for the fire services community. We will reach every community, online and in person. We will ensure our outstanding rehabilitation programmes lead from the front. We will continue to evolve to meet the changing needs of our community and we will do all this with the continued support of our army of selfless donors, fundraisers and supporters. Honouring those who founded our benevolent organisation amidst the horror of the Second World War, we will mark our 75th year by doing all we can to ensure our future is as bright as their legacy. 75 years. It’s just the beginning of our tomorrow. In August 1943 funds created to support the families of firefighters killed during the Blitz became nationalised to form the Fire Services National Benevolent Fund. In 1953 Her Majesty The Queen became the Royal Patron of the Fire Services National Benevolent Fund. In 2008 the decision was taken to relaunch the Fire Services National Benevolent Fund as The Fire Fighters Charity.